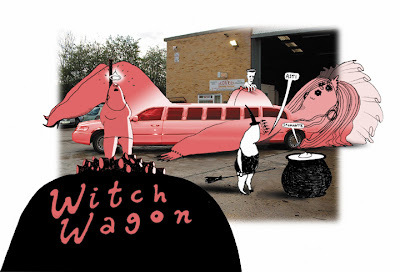 The Amble Blog: Amble Presents: Witch Wagon! Hello everyone! It is nearing November and the end of Amble's very first exhibition. Thanks so much to the those who were involved. If you missed the Pee Wee Martini Show come by before October 31st! Next month, we will be a temporary home of two extraordinary artists travelling here from London. 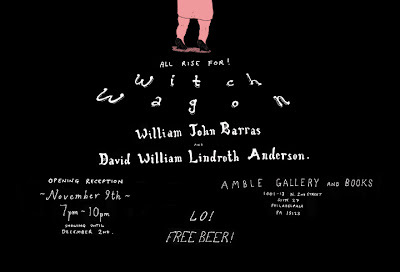 Amble is proud to present: Witch Wagon with work by WILL BARRAS and DAVE ANDERSON.